3D Exclusive is for those who want a totally unique product delivered that places high demands and transport, handling, storage and communication. This typically applies to pharmaceuticals. 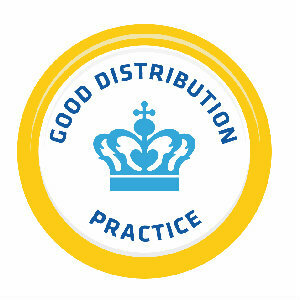 We are § 39 GDP approved and can both store and handle pharmaceuticals and we have been authorised by the Danish Health Authority to import pharmaceuticals from home and abroad. We have, in other words, both the facilities, including special temperature monitored storage, and the competencies (trained personnel) to meet the high demands, which are rightly made, of the medical industry. We offer tailored solutions with transportation between 2 – 8 or 15 – 25 degrees and with both daily and weekly deliveries. If the storage of GDP goods is required, we can also find a solution for it. 3D Exclusive is not only for customers with medications – we also have a heated pick/pack warehouse that is approved for by the authorities to handle other sensitive goods that place high demands on conditions and quality control.